Do you know your Multiplication Table of 6? | Let's Biz Up! You are here: Home / 2012 / November / 21 / Do you know your Multiplication Table of 6? Are you struggling to keep a positive cash flow or you want to increase your Net Worth (increasing assets vs. liabilities)? Or, are you thinking how to overcome the financial crisis or are you dreaming of more personal & financial freedom? If so, maybe this simple table of 6 can make the difference! Maybe you have asked yourself the question sometimes: “What am I working for?” Especially when you are not a business owner and work as an employee the purpose of your work can be diffuse. Do you work just for a paycheck? Or, do you work to learn and to grow as a person? Although the first option may look the most logical, the second option will provide more security in the long-term! 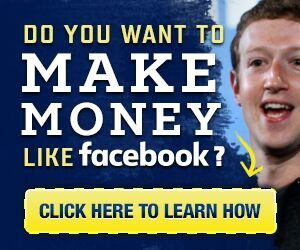 By learning new things and have an open mind for new developments in this fast evolving internet market, you can create a positive & extra cash flow for yourself! Only thing you need is some discipline, the strong will to succeed and some part-time work. The strength of Part-Time work is that you can determine how much time you want to spend on creating your personal fortune, your financial freedom! Global One (GO) Companies is offering you this opportunity. Being part of an international organization, GO strives to provide its members a win-win compensation model. By participating in GO’s business model you get access to all its business opportunities. E.g. you can be your travel agent (click here) or have your own web-shop (click here). For each profit GO makes, its members will get paid accordingly! But the most interesting compensation is the referral bonus you get when you bring in new GO affiliates! Here the table of 6 comes into play… GO pays its members 6 times per month! But for each referral you bring in, your 6-time payout is multiplied by the amount of referrals you bring in! As you can imagine, this can grow very rapidly and your earning will go sky high! Take a look at this picture which represents your potential… Be aware that you also earn money over the referrals of your referrals!!! In total Global One has 3 compensation plans which will increase your earnings as time goes and by the amount of referrals you want to bring in. But the nice thing about GO is that the referral principle is not necessary to earn money. You can easily create a substantial income on your own. The main 5 reasons why you should consider Global One, you can find here.